Dresses like these are probably the most comfiest! 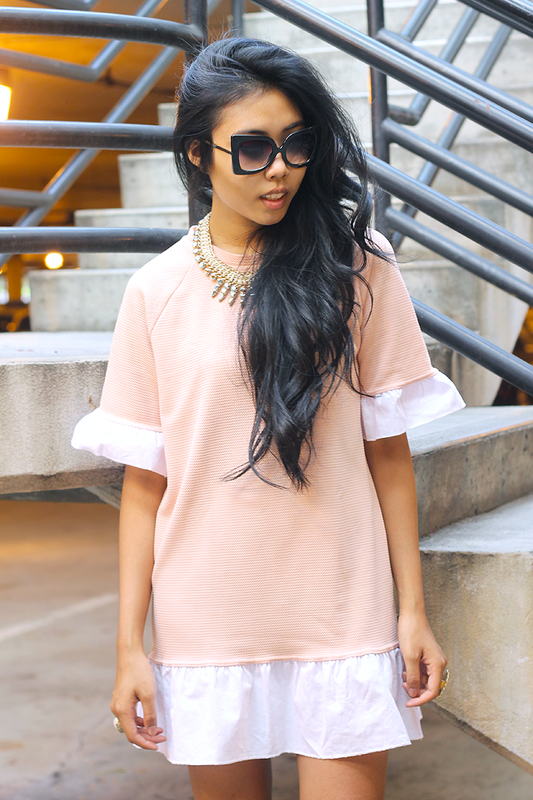 It's basically a big t-shirt, but with a little extra ruffles. I'm a big fan of this dress! I really like how the dress is so girly & you chose for a rather 'industrial' environment to shoot. The contrast between the light pink dress and the black bars is great! Stunning! Seriously, you are a goddess in those sunglasses!